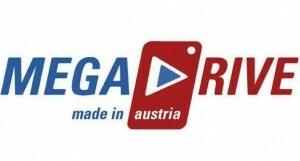 We are proud to announce the appointment of Megadrive Autovermietung GmbH as a new franchise partner, to extend the fast-growing network of our branches in Europe to include prime locations in Austria, Hungary and Slovakia including major airports and city locations. The locations are set to open later this year. With Enterprise’s combination of corporately owned markets and franchise partners, this latest appointment means that our brand will soon be represented across 23 European countries. Together these countries account for over 90% of car hire demand in Europe.